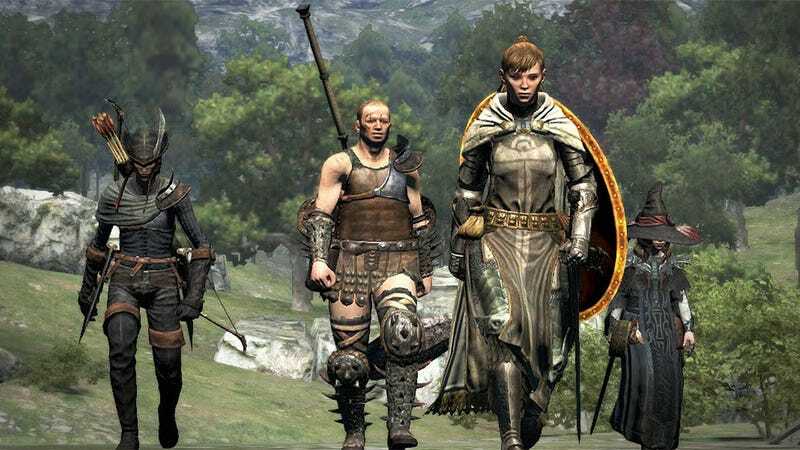 Following complaints from users, a Capcom rep has issued a statement on the company's forums urging people to backup their save data before downloading an update for RPG Dragon's Dogma. Seems people have run into issues where, after downloading the update, they've found their save files corrupted, with the game unable to save (or load) their progress. Which for a big game like DD is kind of a problem. A quick public service announcement for you Dragon's Dogma and Dragon's Dogma: Dark Arisen players. A number of users have encountered an unforeseen issue with a recent downloadable Title Update (patch). The TU, in some cases, has caused players' DD save data to become corrupted (cue Olra purification jokes), meaning the game will no longer save or load their game progress. To prevent the possibility of permanent loss of your data, please copy your existing save data (whether it be DD or DDDA) to an external storage device or cloud whenever possible—especially if you are picking up the game for the first time in awhile or switching over to Dark Arisen for the first time. If you experience repeated issues with your save data becoming corrupt, please try playing the game offline while we investigate the issue. We’re exploring the issue currently and hope to have a solution as quickly as possible. Many apologies for the inconvenience.